The Mac Mini is the greatest Mac that never was, always just a little too expensive and/or a little too underfeatured to be perfect. This time it's closer than ever to perfection—but still falls short. Sure, a $500 price tag would be great. But if we can't get that, can't we at least get an HDMI output? Dell, Acer and others now sell teeny desktops with HDMI outputs—some even have Blu-ray players. It's pretty much the right thing to do at this time, but Apple's not doing it. That's not surprising: Apple is slower to adopt popular PC standards such as USB 2.0, the CD burner, and that Blu-ray drive. 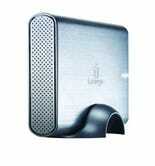 And the company itself is adamant that the Mini is seen as a desktop machine, not an entertainment PC. Some people believe Apple keeps HDMI out of the Mini to protect the HDMI-laden Apple TV. If true, it's sad, because Apple TV just isn't good enough to protect with the life of another product. We can all agree that it's nice to have a reasonably affordable Mac out there in the universe, and most of us can agree with Apple's decision not to redesign the outer shell of the thing—it's still attractively simple. But I want a Mac Mini in my living room, and I want it connected to a 50" flat panel TV. With one cable. Why is that wrong? The good news is, the new Mac Mini is a worthy little beast. In spite of its seemingly wimpy 2.0GHz dual-core processor, it keeps up with most of the basic stuff you can throw at it. 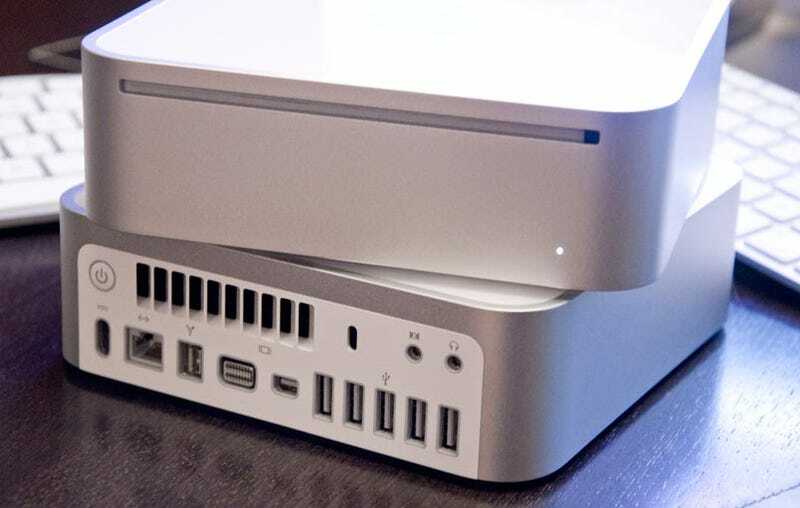 The internal redesign of the Mac Mini is really about coupling that Core 2 Duo with Nvidia integrated graphics, and I have to say, it seems like that worked out nicely. It's the same GeForce 9400M chipset we see in the MacBook, the MacBook Pro and, not coincidentally, the new iMac, and when it comes to rendering 1080p movies and playing a little Quake 4 on a 24" monitor, it gets the job done. It gets the job done when there's enough RAM, that is. That extra 1GB stick actually doubles the 9400M's shared memory from 128MB to 256MB, and when you're playing games, you'll notice that in the textures and motion smoothness. It's hard to tell from the shots below, but textures appearing in Quake 4 on the 2GB Mini were much closer to those on the new iMac, which is far more powerful with a 2.66GHz dual-core processor and 4GB of RAM. Nobody is going to use the Mini as their primary gaming machine—as you can see in my Xbench and Geekbench testing, the two Mini configs always trailed more expensive Mac systems, and in many tests fared the same or worse than their predecessors—but between the Core 2 Duo and the 9400M graphics, it's a solid computer. The better news is, there's no good reason to buy the more expensive $800 one. The $600 config comes with the same processor and DVD burner. As I insinuated, you should up the RAM to 2GB for $50 extra, but even then, your total shouldn't exceed $650. Unfortunately, judging by this teardown and a chat I had with Apple, they intentionally made it hard for people to upgrade it themselves. At that point, all the $800 model has going for it is a 320GB hard drive, and nobody pays $150 for a paltry 160GB of bonus storage. Going from a 160GB drive to a 320GB drive is like going from 40mph to 50mph on a 65mph interstate. Go get an external drive—it just now took me four seconds to spot this 1TB Iomega Prestige external drive on Amazon for $117! That Mini only has five freakin' USB 2.0 jacks—let's don't be afraid to tie up one or two. My feelings on the Mini end somewhat mixed. It's now powerful enough to be a nice iPod-syncable movie ripper/server with the Front Row experience I can control from the couch. I can still set this up without spraining my brain, but there would be lots of compromises. For instance, it would either take a cheap Y-cable for analog stereo out, or a Toslink-to-mini optical cable ($2.24 at Monoprice) that could connect to a receiver for surround sound. It would also take a video adapter of some kind. Many TVs have DVI or VGA inputs, and all now have HDMI inputs, so there are plenty of adapters you can get. There's a Mini DVI-to-HDMI adapter ($9.88 at Monoprice), or an even snazzier Mini DisplayPort-to-HDMI plug, which Monoprice will sell for $14.25 sometime around March 15.